We just sold The Splendid Madera Circa home! Shannon of The Biszantz Connection DID IT AGAIN! She has successfully sold this sophisticated The Splendid Madera Circa home in Via Madera Circa! Consistently bringing her clients the reality of owning their dream home. Shannon Biszantz knows the ins and out of Rancho Santa Fe by heart. She has sold quite a number of homes in the area. She, along with the rest of her team vowed to produce an exceptional result by means of harnessing a tacit approach to selling along with an aggressive marketing strategy. Know the possible reasons behind the long days spent on the market of your precious home and what needs to be done. 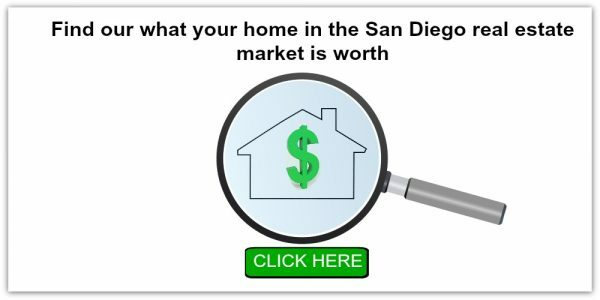 Real Estate in San Diego is constantly shifting, and this year has seen the highest increase in the median home price in over a decade. While this may be the best time to place your house on the market, make sure that you plan well prior to putting your house up. Here are the top reasons why homes don’t sell and what you can do to avoid making those mistakes! Agents often use the exterior of the home as the first photo a buyer looks at. The most compelling part of a home usually is the pool, view, interior etc…not the front..so why would you use a bland exterior photo of the front? Solution: Use the five best pictures of your home as the first five photos. Most people that have clicked through the property’s top five photos will continue to click away to see the others. It’s a habit for most people list their homes with prices that have 9’s instead of whole numbers. For example, instead of listing a property at $300,000, its more commonly set at $299,999. This is a major mistake! The way most real estate websites and apps work are to set their price bands to end in whole numbers. For example, Zillow’s price bands are in whole intervals of $50,000, which means that if you do a search starting with $300,000, you would search for houses priced from $300,000 to $350,000 and so on. When a home is priced at $299,999, none of the buyers searching from $300,000 to $350,000 would see the home in that search. And what makes it worse is that the lower price band buyer is already at their limit, while the higher price banded buyer is just at their starting point. If the property is on the market for $300,000, both sets of customers would be able to see the home in their search. Make sure that you have done your research, especially when it comes to selling your home. Few real estate agents or FSBO sellers check to see if there are any open permits, violations, or additional liens on the property. Imagine being less than a week from closing and then finding out that there’s still a pending challenge with the home. Solution: Make sure you have your attorney or Realtor guide you in the right direction. Always do your due diligence on your home before putting it on the market. Social media looks like an easy tool to use for marketing. In truth, it is difficult, too involved, and highly complicated to target the right audiences and use compelling footage to get that buyer to click on your listing. That is what it is all about! Too much info provided by an agent online takes away the intrigue, mystique, and attractiveness of a listing. Solution: This solution is a lot more complicated compared to others. The important thing to do is to not give all the information in the ad. Treat it the way you would promote a movie: provide a great preview and you get people excited about watching the whole film. Make the buyer so interested they are compelled to call your agent for more information! Attract your buyer immediately with a dynamic first impression! Don’t rush to get your house on the market until it looks pristine… would you have a party and leave out cleaning your home for guests? Of course not… so why present a home to millions online that do not look its absolute best? Believe me, presenting it right may take a week or so longer but will add much more money to the bottom line. Solution: Take your time. There is no need to hurry when it comes to getting your house on the market. Spending more time upfront in getting the home staged, personal photos removed, and decluttered, and you will make a great first impression. The start of a listing is the best time to leverage in GETTING THE BEST PRICE and attracting THE MOST INTEREST. Make sure you take that advantage! Ask your agent if they can give you professional staging advice and have recommended contractors who can help get your home ready in the soonest possible time. A lot of times, making the decision in hiring an agent is determined by convenience or cost. However, remember that it is important that the person you hire is in tune with what you want AND with what is marketing savvy. Plan out specific questions and do your interviews. Do they know the factors outlined above? Do not make the mistake of hiring an agent simply because they’re a relative or a friend, or just someone who gives discounts. It is true that you need someone you can trust, but finding an advisor you can trust AND who knows what they’re talking about is far more important! Solution: Take your time in doing interviews. Find a realtor with an effective marketing plan of action and with proven results and testimonials from satisfied clients. The problem with this process is that over time when people keep receiving emails they don’t find interesting, they will begin to ignore every incoming message from the sender. This would mean that when they DO receive an email they might like, it would be easily missed. Also, if enough reports of spam are communicated by those receiving the emails, that sender can be blacklisted, which means that future emails will automatically go to the spam folder. Solution: Categorize the recipients who receive your email. Not only does it make more sense to send an email related to a person’s interest once a week, sending smaller targeted email campaigns (also known as bursts) to relevant groups will also increase the open rates substantially. A higher open rate means your emails will have a much lower chance of going to a spam folder and a much higher chance of engagement and connection and being of VALUE! An average agent doesn’t have a budget to do marketing the right and proper way. Many will take the property photos themselves using their phones or digital cameras. If they make a video, they usually do it on their own and more often than not it will be a slideshow with still photos. We now know and understand that a seller only has one chance to make a great first impression. Thinking that you’re saving by not hiring a professional to do your photos and videos is a HUGE mistake! Using professionals to take and make your presentations only show how much you pay attention to detail. Browse through our photos and compare it to others in the market, and you will see that we place a premium on making sure that you put your best photo forward! Solution: Spend on professionals! Presentation matters! Not only do beautiful photos and videos attract more attention, the current algorithm in Facebook actually causes it to be seen by more people once more people click or view them. Allocating a budget to do it right the first time will save you money in the long run by getting your home sold faster. In today’s hustle and bustle world, time is more important than ever. In making the most out of a potential buyer’s time, an agent may schedule multiple showings. Not only does it make things more efficient, it also ensures that the buyer is presented with more options to choose from. Unfortunately, if your home is not available when asked, that buyer’s real estate agent may or may not actually come back another day. Solution: Make sure your house is always show-ready. Losing even a single opportunity to show your house means losing one potential buyer! Have a plan that covers all possibilities should your home need to be viewed on short notice. You can also give the Realtor a key to the home, so they or a team member can show the home when no one is available. With the numerous home automated sites available, most of the time sellers and agents may look at the current estimates and average them out to get a list price for the home. They may also look at previous sales and determine the listing price based on them. So what’s wrong with these methods? They can be INCONSISTENT. Automated sites’ estimates are sometimes off the mark, either being too high or too low. One excellent example is when Zillow’s CEO, Spencer Rascoff, sold his home. He actually sold it forty percent less than the Zestimate. Solution: Use a buyer’s eyes when looking at your home. Remember that there are also individuals in the market who not only WANT to sell but HAVE TO SELL. Review the current competition for the subject property, the similar properties that have recently sold, and the direction the market is heading. Look for an agent who is aware of all of these things and get your home sold in the quickest time frame possible. Encinitas is a Spanish name that means “little oaks”. With the rugged coastal terrain and a small beachside area, you can find a lot of offerings from mix businesses and housing styles in our community. We are also a home to several private equestrian facilities, a golf course, boulevards and tree-lined streets. A place for unusual stores, shopping centers and restaurants where you can spend your days and evenings which, is what we also boast a lot of. Eating impeccable dishes is a habit that most of us are guilty of. I, myself is a fan of lavish and mouthwatering dishes. I cannot help but explore more of what restaurants can palatially offer me. And Encinitas offers nothing more but splendid dishes served impressively good. 20 schools in total can be found in our city. Oak Crest Middle School is one of the highest rated school. (Based on Zillow’s school reviews for Encinitas) Our public schools are part of Encinitas Union Elementary School District or San Dieguito Union High. Our Public Transportation is being run by NCTD (North County Transit District). Breeze bus connects you to Carlsbad, Solana Beach, Oceanside and Escondido to San Diego. Whilst most of our residents prefer to travel via their own car. Take part in exploring our secret gems, who knows, you might find our city to be the best place to retire or spend the rest of your fruitful years with, just like what most of our locals did. Shannon of The Biszantz Connection DID IT AGAIN! She has successfully sold this glorious home that offers amazing views of Rancho Santa Fe. She has helped out a seller find the perfect match of a buyer to bestow her home with. Shannon Biszantz is a native of the Rancho Santa Fe community that she loves so dearly. She has exerted more than enough of an effort for her clients by means of utilizing her expertise in effective selling and dynamic marketing strategies. What’s best to know when you are in need of a good walk, a hassle-free ride or a toll-free adventure would be the routes and ways on how to be able to achieve it. In Encinitas, we offer a variety of ways on how you can explore the sweet side of the county. Provides bus and train services in San Diego North County. I5 Freeway with the additional express lanes in the project can be used. Carpooling is also one of the best ways to help nurture Mother Earth and at the same time, save gas and money for yourself.